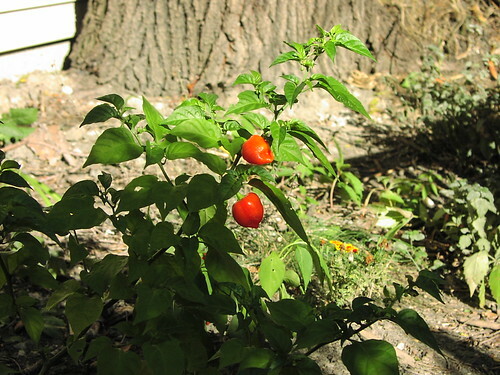 More of the habanero chiles are ripening. 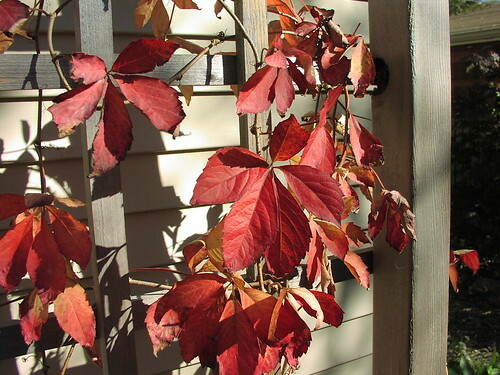 The grape woodbine is no longer trying to crawl in the garage. Just a day after I took this picture, these leaves had fallen. 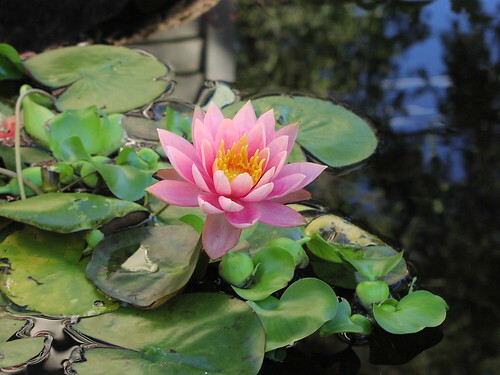 And the water lily is still blooming at this late date. The few water hyacinths that haven’t been eaten by some sort of night visitor are the ones in the middle of the pond with the lily. 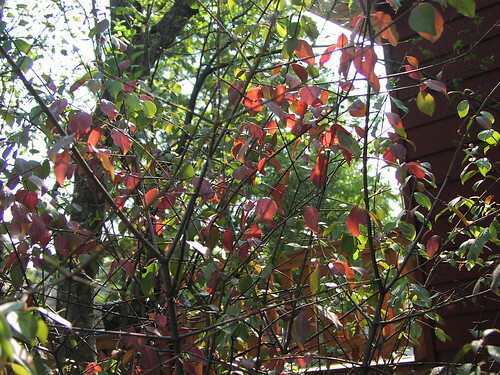 The blackhaw viburnum (Viburnum prunifolium) is one of the first plants in my garden to turn color in the fall (right along with the grape woodbine/Virginia creeper). The color seemed a little ridiculous when it was close to 90 over the weekend, but now it matches the properly crisp October weather. Sometimes, letting the garden go where it will can produce serendipity. 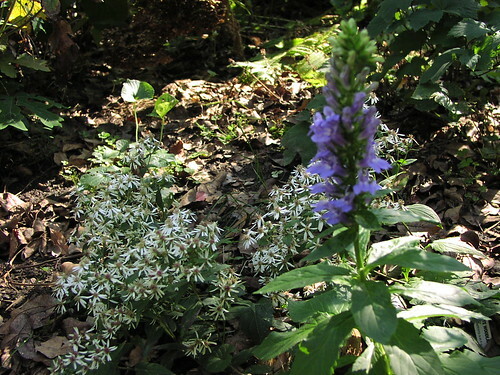 Here’s a great blue lobelia volunteer that popped up right next to some white woodland asters I planted. The only lobelia I planted was 10 feet away from here, so this is a seedling from last year’s flowers. It’s not the only one either; there are lobelias across the pond from the original patch as well. This is yet another reason to plant seed-grown species rather than hybrids. 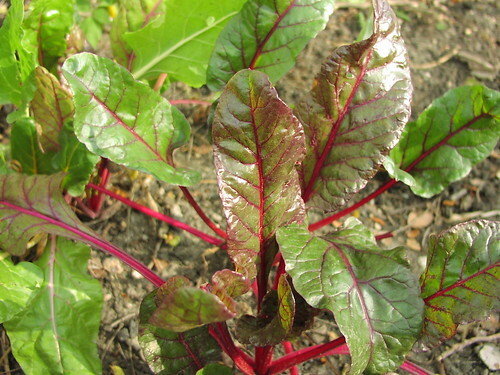 Not only are you getting greater genetic diversity in your garden, but the garden can then plant itself as the years go by!